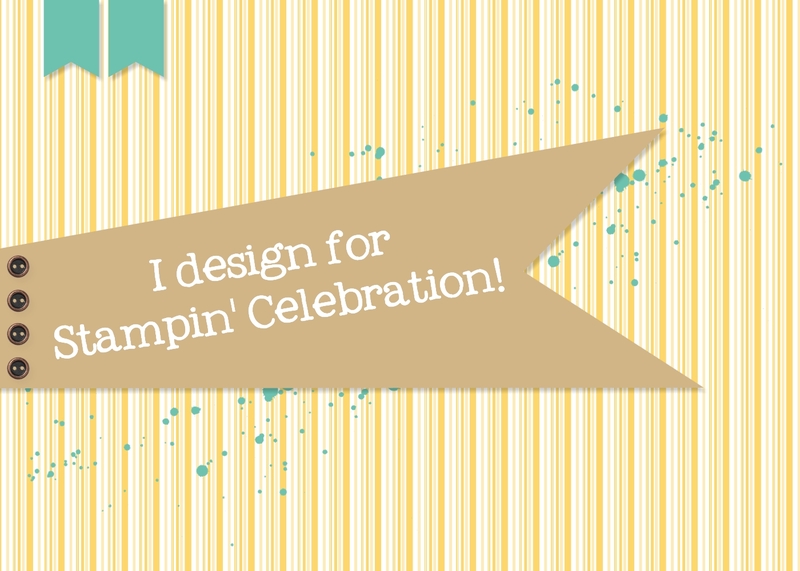 Time for another Stampin' Celebration sketch challenge (SC103)! For my project I decided to try a masculine style card. My brother's birthday is today so I thought it would be perfect for him! 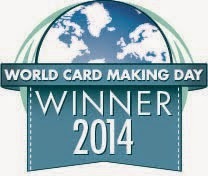 And having more ideas for masculine cards is always a good thing! Instead of using paper or cardstock for the three rectangles in the sketch I decided to use a stamp. I pulled out my Draw the Line photopolymer stamp set and decided it would be perfect. I stamped the open circles with Blackberry Bliss and the closed smaller circles with Tempting Turquoise. The greeting is from the @SoSocial stamp set with some Hello Honey ribbon in the background. I punched a few circles with various sizes of punches (1-3/8", 1-1/4", 1", 3/4" and 1/2") and played with the arrangement until I got something I thought looked random enough and yet pleasing to the eye. A fairly simple card in the end. Hope you were inspired by my take on the sketch! Can't wait to see what you create! 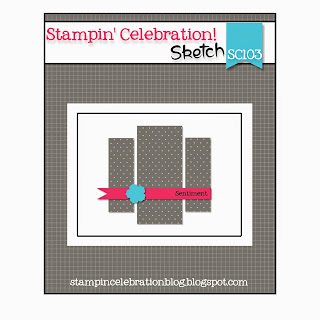 Note: Both the Draw the Line and @SoSocial stamp sets are retiring from the Stampin Up catalog in June.